Our most versatile e-card! 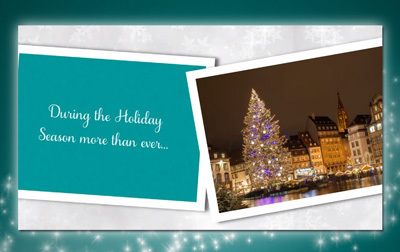 Our Slideshow E-Card is great for business holiday greetings, announcements, demonstrations, orientations, learning tools, tutorials, product presentations, and more. 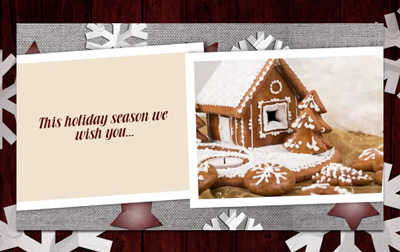 E-cards are most known by businesses for sending holiday egreetings to client and customers. 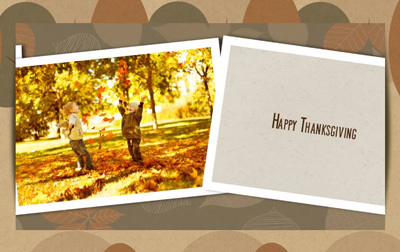 However, ecards provide a medium to deliver more than just heartfelt messages on special occasions. 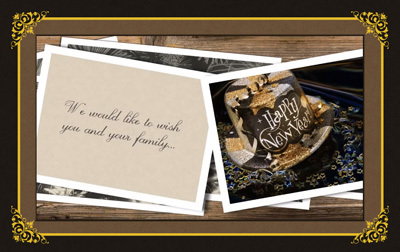 With the customizable aspects of our Slideshow E-Card and your creativity, it can be used for almost anything you can think of. 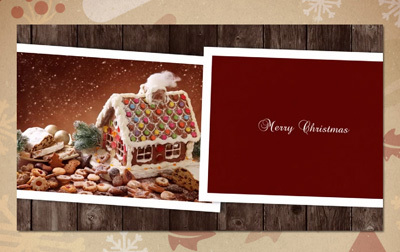 Below, find samples showcasing different ready-to-go themes available with our Slideshow E-Card. Change the photos, text, colors and more! 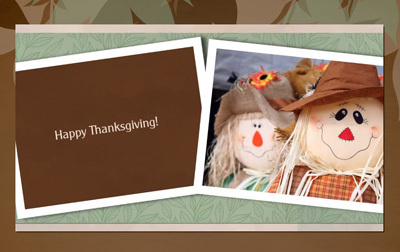 Get a sample Slideshow E-Card! Use the template's photos or yours. Here's the current pricing for a Slideshow E-Card. Customize more with these add-ons! Our Slideshow E-Card can be customized further to meet your needs with the following add-ons exclusive to Slideshow E-Card. A Photo Slide contains one photo and an optional label. A Text Slide contains only text and holds up to 150 characters. A Personalization Slide includes one staff photo and a short message. 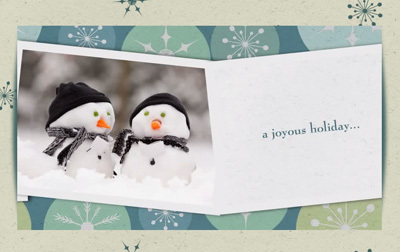 Great for letting staff share a holiday greeting or message individually, but still within the same Slideshow E-Card. 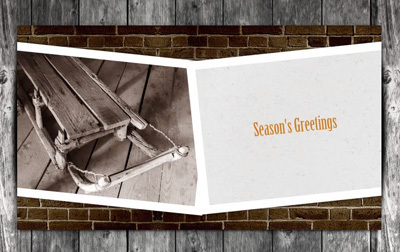 Similar to our Personalization Slide, the Personalization PLUS+ Slide includes a staff photo and their greeting. Additionally, with this Premium Slide, we'll also remove the background from the photo and include the staff member's signature. 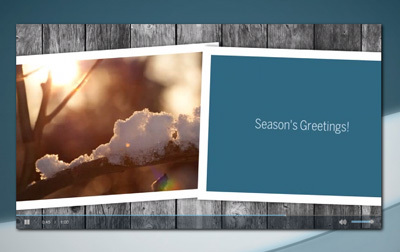 The Signatures Slide adds the signatures of your team or staff to your Slideshow E-Card. Our Custom Graphic Slide is great when you need a custom graphic (e.g. logo, icon, corporate branding) or a custom graphic with text on a single slide. Didn't find the theme you require in our samples? 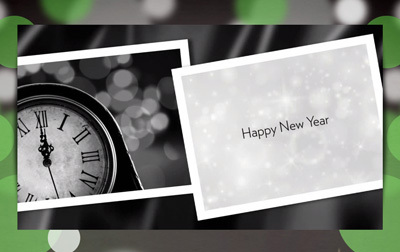 Customize your Slideshow E-Card's theme to match your requirements. E.g. add your corporate branding on Text Slides, the background and other aspects. Great for branded demonstrations, company announcements, presentations, lobby screens and more. Add even more features and customizations with e-card add-ons.